When filming our ad we took special care to ensure all our canine stars were safe and happy — and now you can do the same. If there’s one thing we love more than our dogs, it's taking them for little trips to discover new places. Our latest ad — airing for the first time today across the UK and Northern Ireland — features all of our furry friends excitedly taking to the road. It was great fun to make for all involved and we like to think the ad really spreads the feel good car buying love that findandfundmycar.com aims to bring its customers. Most importantly, there was plenty going on behind the scenes to ensure the dogs' safety throughout. We have been working closely with Rockwood Animals to make sure the animals were comfortable both in and out of the cars during filming. 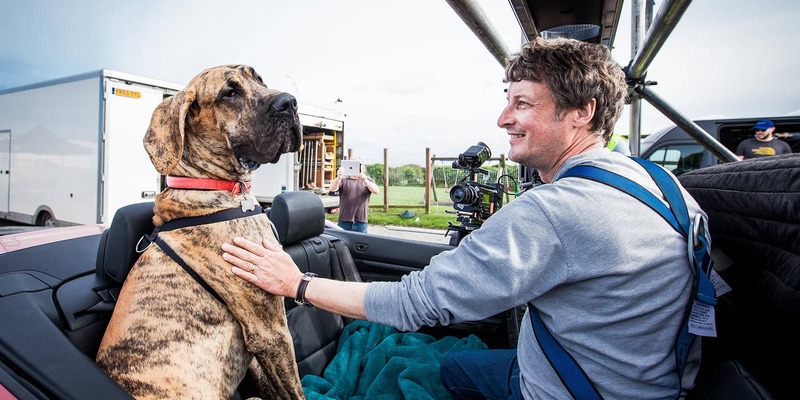 Martin Winfield from Rockwood has been training and handling dogs for film and TV for over 25 years; however, you won't spot him in the ad itself as he spent his time wearing a harness outside the car, keeping the dogs happy and safe while they were travelling inside. 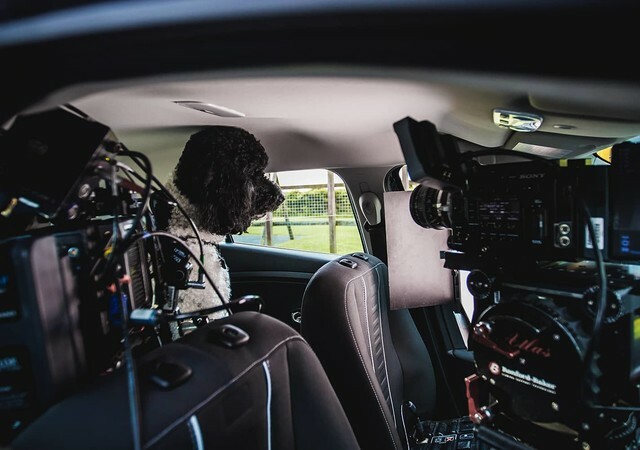 “For filming, all the cars were secured onto specially adapted low loader trucks, so while the dogs were visible in shot in the car, what you couldn't see is that I was also harnessed onto the low loader myself, ready and able to attend to the dogs should they need anything." Here are our top tips for travelling safely in the car with your canine, pulled together with advice from the RSPCA. For further information about travelling with pets, you can download a factsheet from the RSPCA here. Take your dog on small car journeys from a young age to assess how they travel. Use positivity and rewards so they know that getting in the car isn’t a scary experience. If your dog is showing any signs of anxiety while travelling – especially on longer journeys – it is important not to aggravate them further. If it’s safe to stop, take them for a short walk and reward them when they get back in the car. Leave a couple of hours from their last feed before taking your dog in the car. Always take regular rest and toilet breaks on long journey – for both you and your dog. Your dog should be suitably restrained so they are safe during an emergency stop and are unable to distract the driver. Travelling crates and containers are perfect for larger cars and approved harnesses are available from the RSPCA. Don’t let your dog get too hot. When travelling, make sure water is readily available and that there is plenty of ventilation. Once you reach your destination, your furry friend is coming with you, even if you’re just popping into a shop for supplies. Dogs – any pets in fact – can suffer terribly and even die from heat exposure when the heat rises in a car. Read this article for more information.